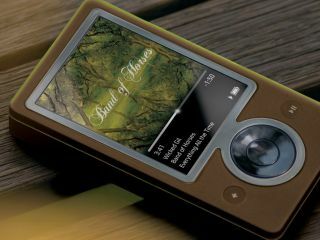 Microsoft's Zune MP3 player could arrive in the UK sooner than any of us thought - at least according to one Made for Zune partner. The partner - who preferred to remain anonymous - told Tech.co.uk that his company's product would be launched in the UK shortly after the Zune itself arrived, which would be in "two to three months' time". Microsoft has made no secret of the fact that it aims to sell one million Zunes worldwide by June, although there have been conflicting reports about how well it's doing in the US. US analyst NPD Group estimated that the Zune picked up 9 per cent of MP3 player sales in the US in its first week on sale in December - that's a whole 54 percentage points behind iPod sales for the same period. Apple CEO Steve Jobs said last week that the Zune had achieved just two per cent of portable MP3 player during the holiday season. The Zune is currently ranked 13th on Amazon 's best-selling portable MP3 player list. That puts it behind several models from Apple, Sansa and Creative, but ahead of Apple's fifth generation white 80GB iPod.